Naruto funny pics!!!!. heres some funny punda pics of Naruto so enjoy! :). Wallpaper and background images in the Naruto club tagged: naruto anime funny. Wkwk.... That's why... When i first read it, I was thinking,like, OMG, Itach's supposed 2 say this 2 Sasuke! When I saw the second row I think Itachi said this to Kisame or he is practicing with Kisame to say that.LOL! 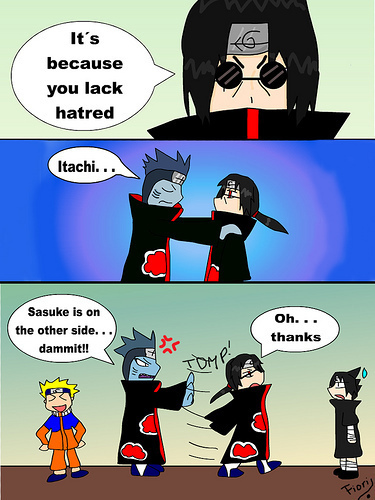 I thought Itachi was talking to Kisame when I first got 2 the 2nd row and why is Itachi wearing sunglasses ?